Organized Diffusion: Ahh, InDesign. We meet again! Ahh, InDesign. We meet again! 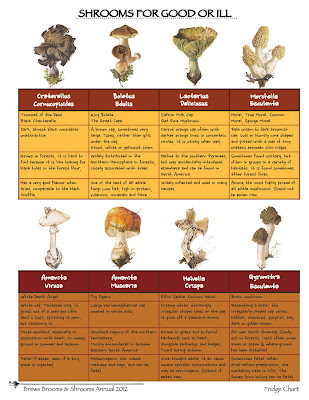 Two table comparison of edible and poisonous mushrooms. 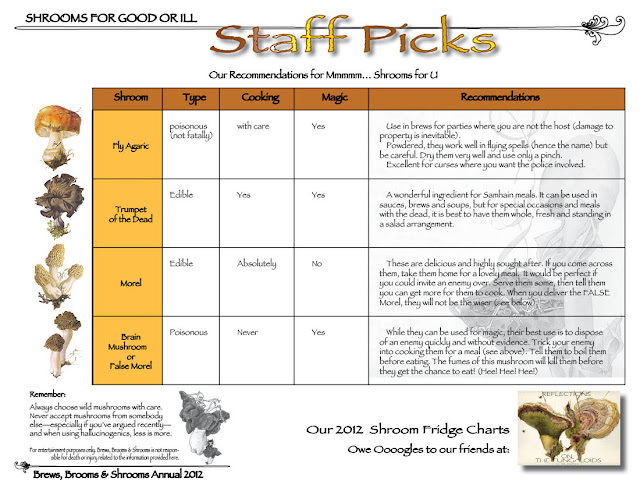 Some of my assignments in the Graphic Design Program are more geared to commercial, rather than creative pursuits. Don't get me wrong, graphic design is art (and I'm willing to sneer "elitist" at all those who say otherwise) but it's also in demand within industry as a conduit for information. In other words, one of the things we learned early was creating and using tables in InDesign, so we'd be able to put together that boss brochure on car deals. 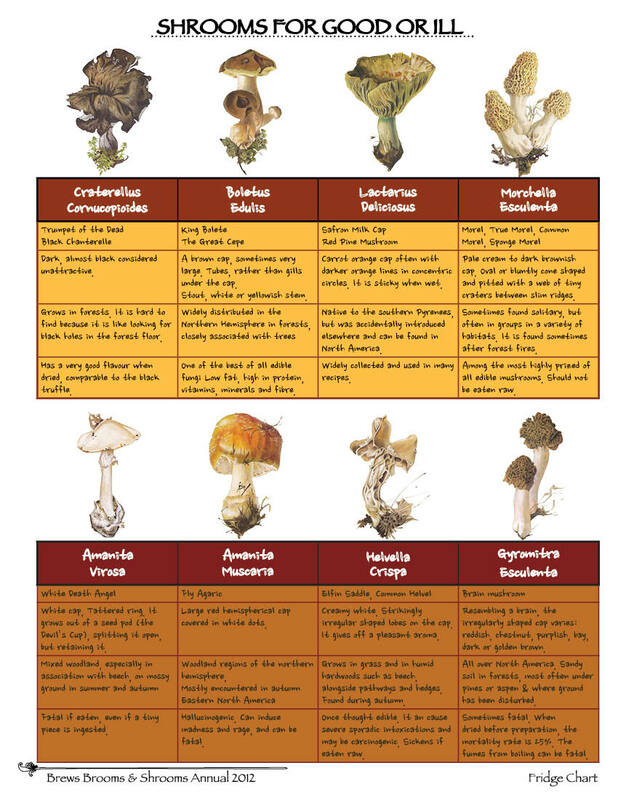 I put together the two tables here to compare poisonous and edible mushrooms for the fictitious "Brews, Brooms & Shrooms" magazine. While I did do the research, and the chart is accurate as I see it, I'm hoping it's publication to the web isn't taken seriously by anybody. It's just fun and games. Please don't depend on it for any kind of eating advice—or homicide, come to think of it (BB&S is not a nice magazine). My fav of the two, because it's pretty, is this second layout. Rather than a magazine page, it's a fridge chart for the merry murderer to keep handy all year round.